In a community garden at a San Antonio library, Joan Miller grows one of her favorite Texas natives for bright fall color — Maximilian sunflowers. Even complete neglect doesn’t offend Helianthus maximiliani, cousin to the common sunflower. 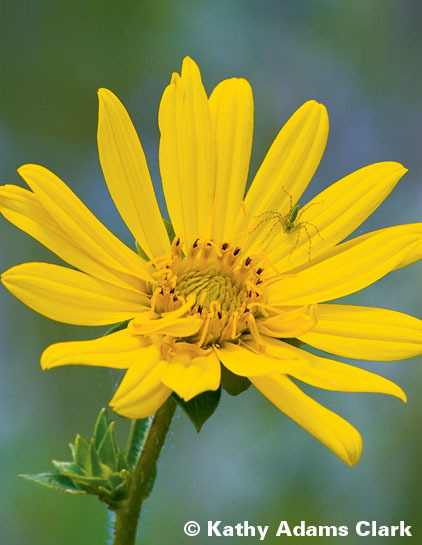 With little more than full sun and occasional showers, this long-stemmed, unbranched perennial thrives along highways and across fields, standing anywhere from three to 10 feet high. Large colonies can form from a single plant. Up to 3 inches wide, the yellow-petaled faces of Maximilian sunflowers track the sun throughout the day. Livestock graze the species, and birds love the seeds. So did Native Americans, who once cultivated sunflowers for food, dye and fibers. The plant’s rootlets, which look like mini potatoes, taste similar to a Jerusalem artichoke, according to Edible and Useful Plants of Texas and the Southwest. As its common and botanical names imply, Maximilian sunflowers have regal connections. The species was christened after Prince Maximilian of Wied-Neuwied, a German naturalist who explored the American West in the 1830s.